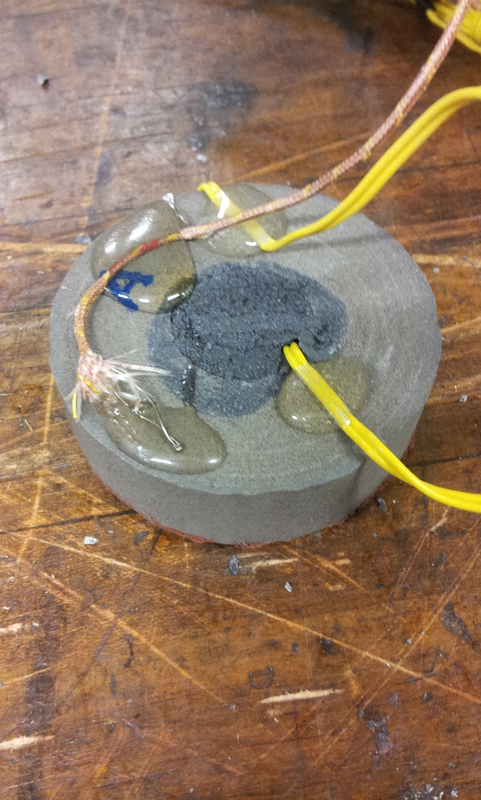 During past STFs, there were problems with our igniter falling out of the system (through the nozzle). When this happened, there was no longer an igniter in the system to ignite the fuel grain to start the burn. Another concern that this issue brought on was that if the igniter happened to fall once the fuel had been ignited, it could potentially clog the nozzle. This would create a situation where we would have one big, very hot, very energetic, pressure vessel that could potentially build up pressure and explode. While everyone likes a big explosion, we would like to avoid it if at all possible in the spirit of a successful project. One of the main objectives of this subsystem last semester (Fall 2012) was to design it so that this would no longer be a problem. 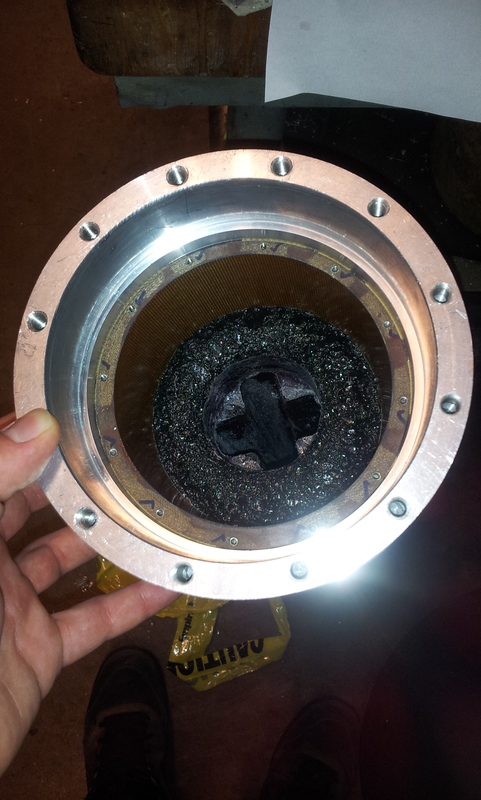 The solution was to cast a ‘seat’ on the fuel grain for the igniter to mount so that it would not fall out from the upstream flow and pressure. Top of the fuel grain with a seat for the igniter. E-matches connected to our igniter with pyrogen in the middle. While we didn’t have a full burn at STF 4, we did have a successful ignition that verified our new design. Since this worked, it is currently in a design freeze (no work is being done on it since it works). The only thing that will need to be done is to make a new igniter for each individual STF/launch that takes place.